Chennai: Actor turned politician R. Sharathkumar owned TV Production venture ‘I Pictures’ is in the process of creating many TV shows various broadcasters in South Indian Television Industry. The Company is set launch its maiden TV production Vinnai Thandi Varuvaya, a new fiction show with next generation love story Vijay TV, is scheduled to go on air from October 3rd, every Monday to Saturday at 7.30 pm. Recent telecast of the promo has piqued the curiosity among the audience with its breathtaking visuals and music. The serial will be an amalgamation Love, Passion and Ego. Vinnai Thandi Varuvaya is a love saga between two aspiring singers Vikram and Abirami, from different family circumstances. Despite both having a musical family background, politics and vengeance in the industry gives them a roller caster experience. The story will revolve around the Hardships in the life of a girl who tries to up bring her family’s financial status with her musical talent. Whereas, the male protagonist has a strong musical and financial background. But his life takes a turn after meeting the love of his life. Wholly the crux of the story is that, how their love each other gets tossed during their musical journey. The Ever-Gorgeous Television actress Madhumila, who was last seen in office and Atcham Thavir will be seen portraying the female protagonist Abirami. The Suave and handsome Television actor Vikraman will be the male lead. He is currently hosting a crime based show Nadandhadhu Enna in Vijay television. And, he also did a pivotal role in Vijay Chithiram’s movie- Mehar. Along with them, actresses like Uma bhathmanabhan and Uma Riyas will be seen doing pivotal roles. 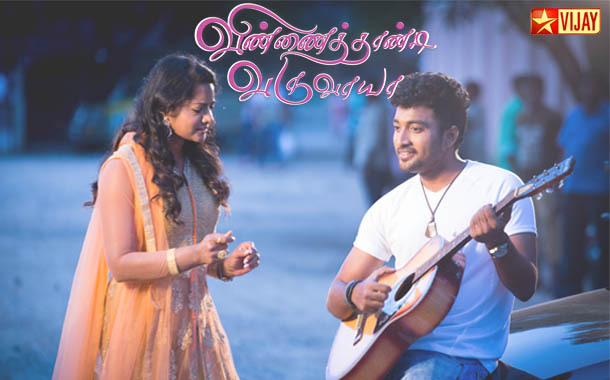 Vinnai Thandi Varuvaaya is directed by popular Director Sundar. K. Vijayan. He has tried his hands in film direction. Notably, He is the son of popular director K. Vijayan, who has done 68 films with versatile actors.